Home Education Lifestyle Check where your country stands: See Countries That Spends The Most Time On Internet, Social Media. 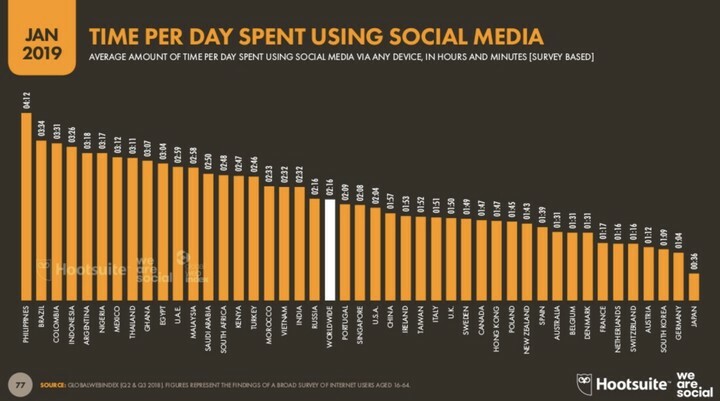 Check where your country stands: See Countries That Spends The Most Time On Internet, Social Media. 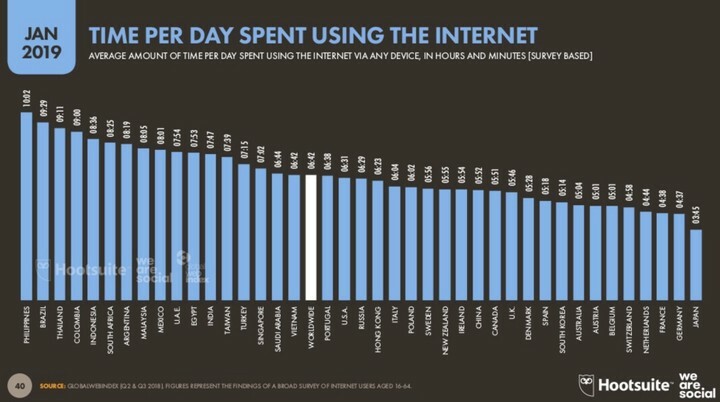 The Philippines is followed by Brazil at number two, spending an average 9 hours and 29 minutes on the internet. The top three is rounded up by the Thais who spend 9 hours and 11 minutes online.